At TechnoCycle we are committed to the highest standards in EH&S compliance. We have taken steps to go above and beyond industry regulation. Our commitment is evident in the investment we have made in both achieving industry certifications and in our maintenance of, and compliance with, those certifications. We continually update and revise our programs and policies thereby maintaining success within our EH&S management systems. 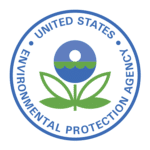 The Responsible Recycling Practices Standard (R2:2013) is the leading standard for electronics repair and recycling outside of the United States. As part of R2 compliance we keep abreast of all regional and local laws, rules and regulations wherever we provide service. A baseline for any company involved in recycling or handling e-Waste, ISO 14001 is an international standard for developing and operating an environmental management system (EMS). Companies rely on an EMS to help them identify, manage, monitor, and control environmental issues relevant to their business with the goal of ensuring environmental impact is measured and improved. This certification ensures that recycling processes comply with Occupational Health and Safety Advisory Services standards to provide a safe working environment for staff and external parties. The OHSAS 18001 certification ensures that companies meet legal and regulatory requirements for health and safety around the world. NAID AAA certification verifies that a service provider meets stringent qualifications for secure information destruction. The certification specifications pertain to more than 20 areas of operational and security requirements including particle size, transport, video surveillance, access control, employee screening and training, and written policies and procedures. 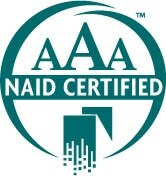 When you work with a NAID AAA certified company you know that your information destruction meets strict requirements. If you ever need to present proof that your data was destroyed in compliance with information industry regulations you can validate that you’ve taken the proper steps to comply. This reduces your risk and liability and can be used as proof that you demonstrated “good faith” efforts to ensure confidentiality in your data and ITAD management in the event of a lawsuit or audit. TechnoCycle is an EPA-registered facility (EPA #TXR000080398) and properly recycles all material received in compliance with The Recycling Alliance of Texas Standards. TechnoCycle also subscribes to a “zero-landfill, zero-illegal-export” policy, which means that none of the IT assets or e-waste that we receive go to landfills or get exported to underdeveloped countries. Green Office Challenge – The Houston Green Office Challenge is a friendly competition for commercial office tenants that acknowledges participants for their achievements in greening their operations through Mayoral and media recognition. Gulf Coast Recycling Council – The State of Texas Alliance for Recycling (STAR), a 501c3 recycling organization whose mission is to advance recycling through partnerships, education, and advocacy for the benefit of Texas.